She was wildly unique. She was stylishly handsome. She had a way with women. She was, you know… Sophisticated. 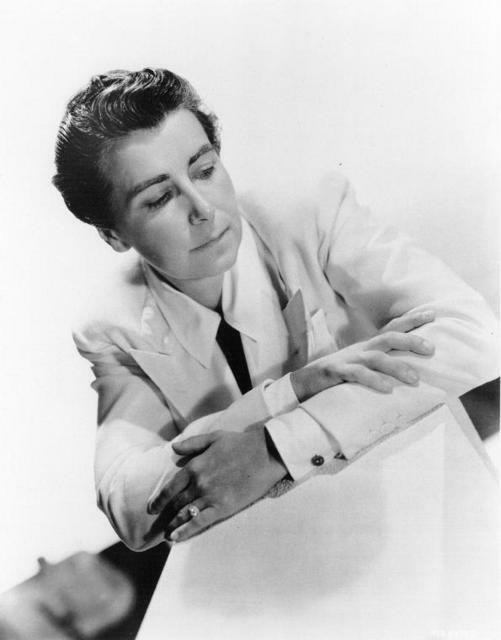 In her day, Dorothy Arzner was known as a star-maker. She was the only woman to have sustained a successful career as a Hollywood film director through the 1920s, 30s and 40s. Arzner made sixteen pictures, directing women we now know as immortal stars; Katherine Hepburn, Joan Crawford, Lucille Ball, Maureen O%27Hara, Clara Bow, Rosalind Russell, Claudette Colbert and others. And she directed them in the roles from which they ascended into stardom. Sophisticated is structured around Arzner’s quietly notorious Hollywood career and unfolds through her glamorous and intriguing private life… her peculiar mentors, fiery affairs with rising stars, secluded garden parties, secret women%27s clubs, scandalous conflicts with producers and studio heads, the irreverent and intimate workings of her circle of sophisticated friends, and the tumultuous yet passionate relationship with the love of her life. Conjuring the colorful, well-drawn characters and rhythms of a droll 1930s romantic comedy, filtered through a contemporary sense and believability, Sophisticated is The Hollywood Story of Miss Dorothy Arzner.